It Sounds To Good To Be True, But Now It’s Possible! 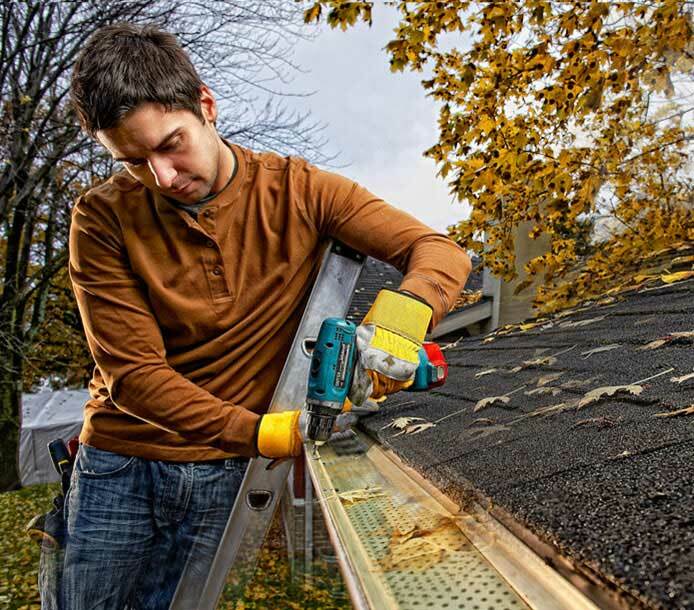 We’re sure you know the hassle of having to dig out the ladder a few times a year, and work your way up to the guttering on your house to clear out the built up debris. It’s amazing how fast it can build up and cause havoc on your home. And not only is it time consuming, it can be downright tedious and dirty work. And if you don’t do it yourself, there’s the hassle of having to hire someone else to do it and that can add up financially doing that each and every year. A Clog Free Gutter For 40 Years Straight! Now imagine instead of having to clean out your gutters several times a year or pay someone else to do it, you can do something else instead. NOTHING. That’s right, with the amazing Gutter Clean System your rain gutters will not clog with the typical debris of leaves, debris, ice or snow leaving you with clean gutters each and every year, up to 40 years! The Gutter Clean System is the ONLY product on the market that comes with an amazing 40-year “clog-free” warranty. The Gutter Clean System by Alu-Rex is made of weatherproof aluminum that’s resistant to cracks chipping or warping like most gutter guards. This system is BUILT TOUGH to withstand the heaviest debris and even ice, making your gutter completely protected from typical clogging and most of all, will help your gutter drain naturally to prevent damages to your roof or foundation. Built Solid and Meant To Stay In Place…No Matter the Season! The Gutter Clean System is not only built tough to resist the largest amounts of debris, ice, leaves or water, but it also doesn’t need to be repositioned or adjusted after each season. Unlike other gutter guards, The Gutter System can withstand the weight of heavy ice or debris and will not bend or warp during hot or cold seasons. This is the true Gutter System that once we install it, all you have to do is “set it and forget it” and enjoy having clog free gutters for years to come! Are YOU Ready To “Clog Free” Your Own Gutters For 40 Years? The Gutter Clean System is the gutter system you’ve been waiting years for, and current owners simply love! Now’s your chance to have ONE gutter system that will last you a lifetime and most of all, save you years of headaches and frustration (and future costs! ).